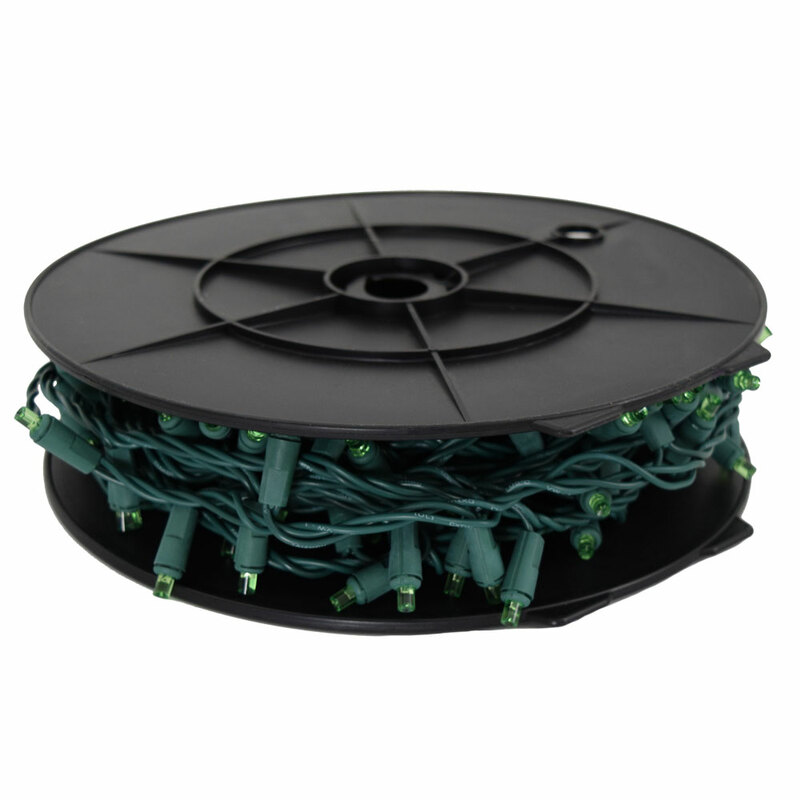 Green LED Indoor/Outdoor String Light reel comes with 200 green LED lights on a 53 foot green wire. 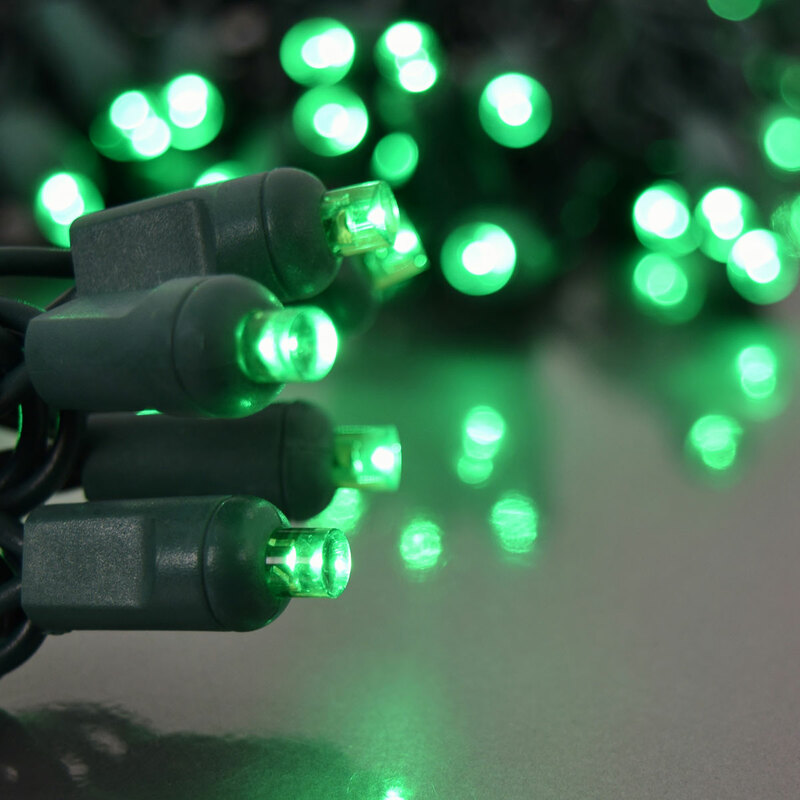 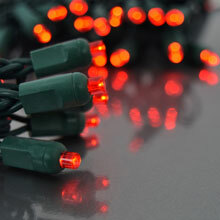 The life of these green Christmas lights will be 10 times longer than traditional mini lights. 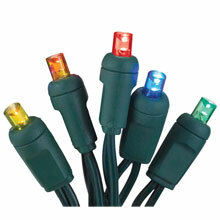 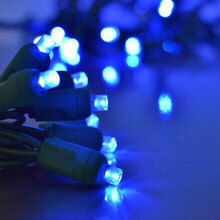 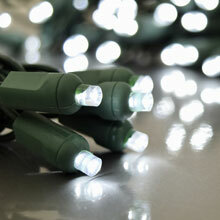 LED green party string light set is made with LED chips which have an excessive long life. 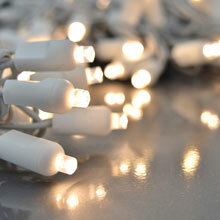 The chip will last as long as the set and is not replaceable.